A page for comments, queries, and questions that aren’t in response to a particular post. I had CHARVOZ pencils. May be someome knows were they are produced and who? Jüri, I am afraid I don’t know about CHARVOZ, though I hope someone else might. But, I must say your website is very impressive! Wondered if you have been to the Derwent Cumberland Pencil Museum in the Lake District in Northumbria, England. Quite a decent place and on the site of the largest graphite deposit in England. The time I was there they had original art and cels by Frederic Back. That was a while ago -hope it’s still there. Just a heads up. http://www.boingboing.net has a article saying that a new Blackwing pencil will be put into production by California Cedar. Your photographs are beautiful. If you have posted your camera and lighting setup, I would appreciate knowing where the post is. Scott, I certainly know about the Pencil Museum, but have not visited. Mark, thank you for the compliment. Mentions of photography are here and there on the blog, but there isn’t a dedicated post per se. If you are interested in excellent photos of pencils, I recommend taking a look a Lexikaliker, which is written in German. Real; Pencils and Music (link on side bar) has a companion page with a review of the pre-production sample pencil. which is your favorite woodcase pencil for writing? Choosing a favorite pencil is tough! I can’t speak on Stephen’s behalf or anything, but as a general pencil user myself, it’s hard to think of a single favorite for broad use. What I use in a pocket cahier or a smaller Rhodia pad or (gasp) a small Moleskine is going to be different from what I use in my larger notebooks or on cheap printer paper at work. I have slightly different preferences depending on whether I’m writing in Chinese or English as well. Further, I like to use 2-3 different pencils of different hardness for different parts of the page, just as I sometimes use different color pens. I think my current list of favorites, which changes a little bit every time I look at it, includes about 8 or so different pencils, with none stealing the show completely. As easy as it is to elevate some pencils on a pedestal, I haven’t found any that are head-and-shoulders above the rest. I have my good pencils, and then I keep a few really crappy ones around to remind me that the differences between the best pencils are minor. I doubt that I have been asked but I’ll answer nevertheless ;-) My favourite woodcase pencils are the STAEDTLER Mars Lumograph 100 (B/2B) and the recently discontinued Pentel Black Polymer 999 (HB/B). I just noticed I said that I had a bunch I liked but I didn’t mention which ones. Like Gunther, I suspect nobody was asking me (though UNLIKE Gunther, I don’t have a pencil blog), but my current favorites are Tombow Mono 100 (HB and 2B) and the CDT Item 17 (HB). However, more and more I’m using a Mitsubishi Pure Malt 2.0mm leadholder with Uni HB/B and SharPits B leads for English, and F/HB for Chinese (might get some more Staedtler Mars too). I’m also extremely fond of the Hi-Uni, Mars Lumograph, and 4B Mitsubishi Penmanship pencils for various tasks, and I’ll occasionally toss in a Mitsubishi 9800, Castell 9000, Ohto 9000, or Palomino just to switch things up a bit. I really hoped for a while that there would be one pencil to rule them all, but I haven’t found such a thing. As my name suggests i am from India. Sometimes lead point of pencil i use breaks while sharpening/writing. What could be the problem? Is it lead/wood/glue/sharpener? I have tried all brands available. Not that all pencils of all brands have problem but some pencils of all brands have problem. Will someone tell me why this happens. No one knows why this lead point breaking problem occur? Surprising! I have two pencils purchased in Mexico eight years ago. I cannot read the entire pencil as it has been sharpened pretty deeply but what I can read says “(preceding numbers or markings, if there were any, are not visible)655 France HB/no2 Conte” It is a bluish-jade green exterior with a cobalt seemless ?metal? top holding a white eraser. Are these available anywhere? Or something comparable? I love how smooth it is and the eraser is very effective. They sharpen well, never break and the exposed wood is a pretty reddish tan. I never thought I’d pay so much attention to a pencil. Oh – also it has a number stamped into the wood near the eraser end very small – 033045. David, thank you for sharing the links. I tried to find information about the cretacolor’s Cleos model and I it seems there is no single entry about this pencil in the *awesome* web page. I wonder if this is because you don’t know the brand/model or because it is a lesser pencil. Let me say again it is a great web page. Congratulations. BTW, this is my very first post. Joan, I am glad you like the site! Thank you for the comment. There are a great number of commercial pencils that haven’t been featured here. I do have a few of the “Cleo” (though I had not previously known the name) and will try to mention them in the future. I grew up on Pentel mechanical pencils, using both 0.5mm and 0.7mm lead. I always remember the black caps of Pentel’s 0.5mm refill lead and the blue caps of 0.7 refill lead. I still associate those colors with those lead sizes. When I got to high school, it was very exciting to see 0.9mm Pentel pencils available to purchase at local department stores, along with yellow-capped refill lead. Up until that time, I had never seen 0.9mm lead anywhere. In college, I discovered the 0.3mm size lead at the local bookstore. And, of course, they had Pentel refill lead for that size too, decked out in brown caps. I was at Staples today, and, inspired by this blog, I scoured the pencil aisle. I was quite thrilled to find both a Staples brand 1.3mm mechanical pencil *and* some Pentel 1.3mm refill lead (2 containers, 4 leads in each). After some quick google-ing, I discovered that a Staedtler 1.3mm pencil was in stock at Hobby Lobby. I could find no Pentel 1.3mm pencils locally! Pentel of America’s online store has Fiesta pencils in this size. I find this thick lead size a good choice when I want to write thick text in lieu of a marker, which I do from time to time. Also a good choice for those Scantron multiple choice test sheets. Anyway, the Pentel 1.3mm lead refills have *gray* caps. The 1.3mm graphic on the package is also in gray. Looks like we can add “1.3 mm = gray” to that list. Hi Tim, thanks for your comment! I appreciate the feedback, and am glad you enjoy the blog. I wish I had the time and energy to post something new every day. Your trip to Staples sounds quite fruitful – these 1.3mm pencils are an interesting new variety. Bridal Shower Pencils, The perfect gift for the betrothed pencil lover? Just got a Caran d’Ache Fixpencil 22, and I think I’m a little underwhelmed by it. It doesn’t have the physical weight or presence I would have imagined it having, and while it’s a nice enough pencil, it feels a little flimsy and toyish next to the Mitsubishi Pure Malt. So far, apart from these two and the Staedtler 925-25-20, my experience with leadholders is pretty limited, and was wondering if anyone out there’s got a good suggestion for an elegant 2mm leadholder with good weight/presence (for writing) without a lot of added girth. The Staedtler and Mitsubishi have me pretty much hooked on 2mm leadholders as writing instruments, and my wooden pencils are starting to be neglected. I’ll probably buy another Staedtler to replace my last one (lost to a taxi), but I’d like to hear some other recommendations if possible. What about the Koh-I-Noor 5608 or the Tajima SH20FM? Tajima looks like it would pulp my hand, but the Koh-I-Noor is interesting. I’ve also considered the Rotring offerings, and even one or two from the Faber-Castell lineup. The Craft A and David Hayward offerings through Bundoki are interesting too, but a little on the pricey side, and not really to my aesthetic liking. To be honest, my aforementioned Staedtler and Mitsubishi are probably going to be hard to dethrone, but I’d like to keep an open mind about it. The Caran d’Ache seems like a very good pocket pencil, but lacks some of the vibration-damping that the heavier leadholders offer. Robert, if you are looking for a solid 2mm leadholder, I recommend the aluminum version of the Criterium (still being manufactured, by Bic). Or go vintage: the old A.W. Faber-Cstell “Lock-Tite” pencils are great and are still found relatively easily on ebay. I’ve always liked Wolff’s carbon pencils for sketching exercises and finished drawings. I checked here for posts about Wolff’s graphite pencils, but didn’t see anything. Has anyone used them (and have an opinion on them)? I’ve been a fan of your blog since January this year. I would just like to ask if you own all of the pencils that you post here? If you do, do you receive them as a gift? I like sketching and it inspires me to draw when I see the this page. It makes me value the pencils that I own. Does anyone know of a pencil (either mechanical or wooden) and highlighter combo? Seems there a lot available in bulk for high prices (probably for promotional use), but I have found none for individual sale. Anyone know of some available ones? Anyone have one of these and had success using it? that girl, I am curious as well. The historic Colleen “2-way” was a combination graphite/highlighter woodcase pencil, but I’m not aware of a modern rendition. Welcome to the blog. Thanks, David. The pencil in your link is probably an heir, through various corporate take-overs, of the Empire Husky. I notice that even Brand Name Pencils does not have an original Husky 683 in its vast collection. I am looking to find the Ideal testing pencil. While this may sound fairly dull I have taken a great interest in discovering this dream pencil. You see I am preparing to take the LSAT. Only wooden pencils may be used, and time is a crucial make or break factor on the test. When your only given 1.29 min to answer every question suddenly the effectiveness of the eraser you are using, and the degree to which you work to fill in a bubble come into effect substantially. I am trained in art however so I can appreciate the finer qualities in a well made pencil. Here is what Im looking for, Im hoping the experts out there can help point me in the direction of something I have not tried yet (something exotic perhaps?). The last two features are where the two pencils need to differ. Feature 1 is a need for a long lasting point, firm enough to make small narrow marks but soft enough still to fill in the bubble of a scantron pretty fast. Feature 2 is sort of the opposite. I need just enough lead to make a few small marks but it needs to be as soft as I can get away with to do so, so as to fill in scantron bubbles as fast and effectively as possible. I’m very curious about many of the japanese pencils I have been reading about but wonder if any are offered with an eraser (I realize this is not preferred when the pencil is of high quality most of the time). Any advice/info would be much appreciated!!! thanks very much! Staedtler has the red and black tradition pencil in Australia. When was the tradition red/black first created? which countries is it available in and when did it get released. Which is the first country to have Staedtler’s red and black colouring? Back around 1990 I bought some pencils I absolutely adored (from a design-y shop in West Hollywood, CA. They’re wood, with a shallow spiral groove (like the threads of a bolt) along the entire length and circumference of the shaft. No ferrule or eraser. They’re dyed or stained black; the color lightens with use, at least on the top of the “threads” between the grooves. Seems like fairly good #2 graphite lead. They were packed 12 to a sturdy cardboard tube (like a standard mailing tube) with plastic caps, labelled as Design Writing Instruments (or implements; my memory fails me. Looked like the same company that used to sell Design art markers (Eberhard Faber?). I’d love to get more of these. Any ideas on what they were, and who might have some (or something similar)? I hope I can get some help from you knowledgeable pencil folks. I run a woodcarving tool and supply store. A few years ago we were able to buy oversized, composition-type pencils that my woodcarving customers would carve on. They would do spirit faces, Santas, scenes of different types, etc on them. The person I bought them from said that Berol made them and they quit altogether. A lot of carvers were disappointed that I couldn’t supply them. I’ve looked for them since and have had no luck. I was directed to this site by a friend hoping to find help. The popular outside color was red, with green and blue coming in a distant 2nd and 3rd. Like I mentioned, the core of the pencil was some sort of plastic-like composition material that carved very cleanly and held detail very well. The diameter was approximately 3/8″. They were fairly inexpensive. How can I circulate everyone to see where I can replace my stolen Faber Castell 9603 cluch pencil for 2mm leads? The pencil was also made by A W Faber in the USA from 1960 and called: Loctite Finger Fit 9603. Dean, that is too bad. 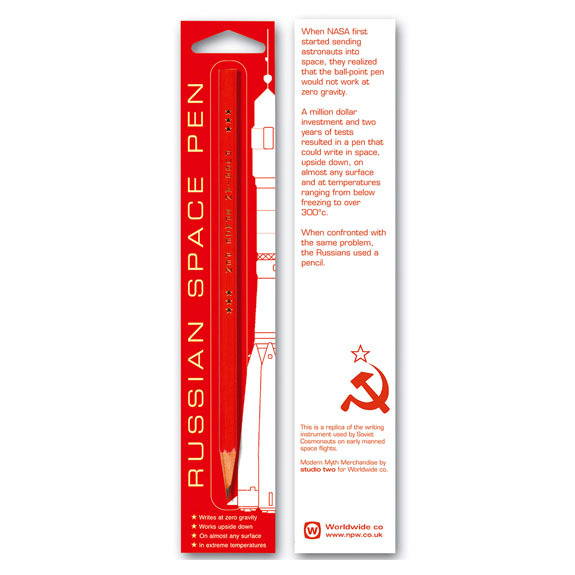 It is a classic pencil, designed to keep the centre of gravity close to the tip. There are some photos at leadholder.com for those who haven’t heard of it. Surprisingly, it is also in Bundoki.com’s “sold out” section. All I can suggest is to ping some online collectors, and keep a eye on online sales sites, especially ones based in Germany. Anyone know what happened to the Pencils and Music blog? Adair and David O : I found this post by googling husky empire 683. I found that pencil, in red inside of a wall while doing some construction work. How old is this thing? That is a good question, lewy. Maybe Adair would have some insight.